I offer my heartfelt thanks and appreciation to Sitar legend Ravi Shankar,who left his body yesterday at the age of 92. Ravi Shankar has been a immeasurable influence on Indian music and is credited with bringing Indian music to the west. 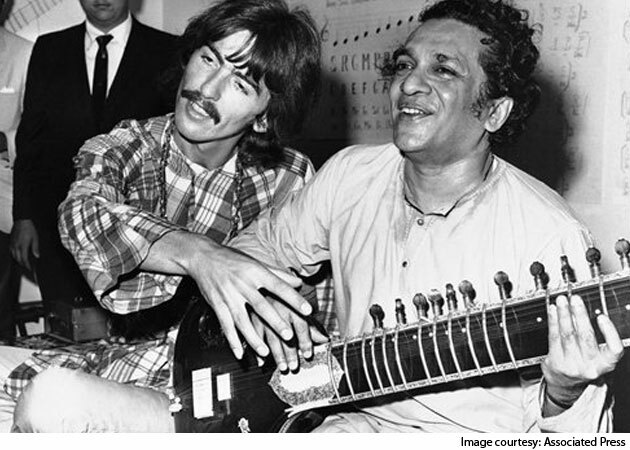 Well known for teaching Beatle George Harrison to play Sitar, he is also the father of a new Sitar Virtuoso, Anoushka Shankar and Jazz Siren Norah Jones. I have been loving and listening to his music for nearly twenty years and wish his family and fans fond memories and a continued relationship with him through his musical legacy. Ravi, of Noble Birth, may you travel swiftly through the transitory states of existence to a harmonious rebirth or to the heavenly realms where the Gandharvas will surely welcome you with open arms and open hearts! Click here to watch Ravi and Anoushka Shankar on YouTube.